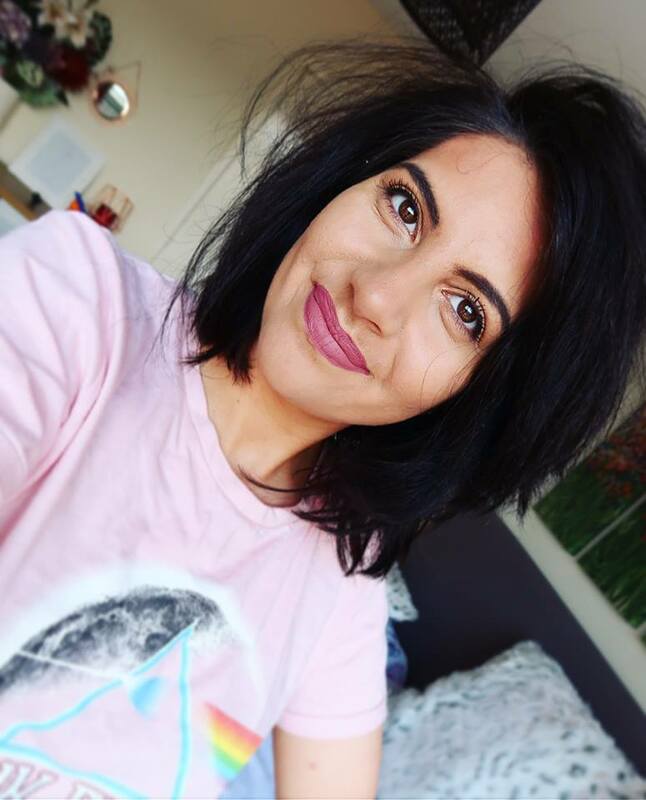 I really am a believer that there is no 'perfect base' but there ARE perfect bases for the look you are trying to achieve....Don't get me wrong I do love an 'all rounder' and of course I have my staples but I do like to adjust my foundation choices to help me create a customised complexion that's seasonally appropriate. 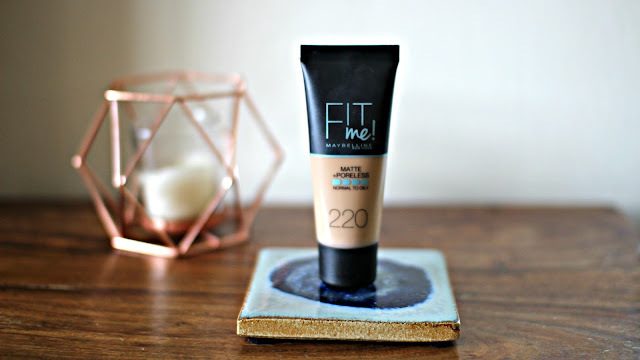 Speaking of an 'all rounder' I recently had the pleasure of trying the new (or to to me) Fit Me Matte & Powerless Foundation by Maybelline and I have to say I really like it. 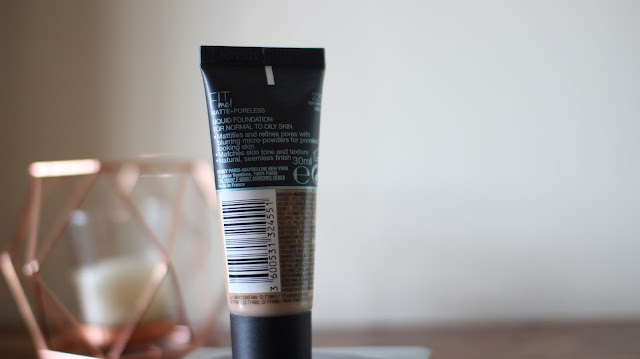 I have done a full review on this foundation on my channel which you can access here, but I thought I would jot down my notes incase any of you were thinking about picking one up! 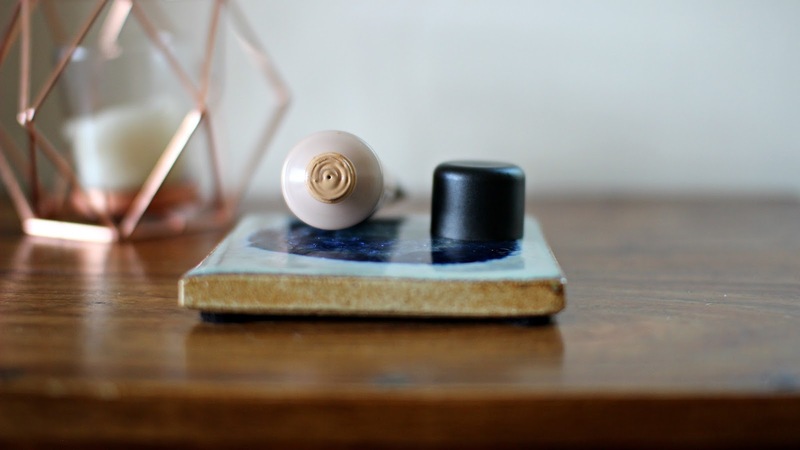 A good place to start is the packaging, I really like that it is a plastic-squeeze bottle as this makes it ideal for travel or those lovely weekends away. It is light, compact and doesn't take up too much room wherever you decide to store it. The font is minimal and sleek making the front not 'too busy' It also lists it's features and benefits on the back. 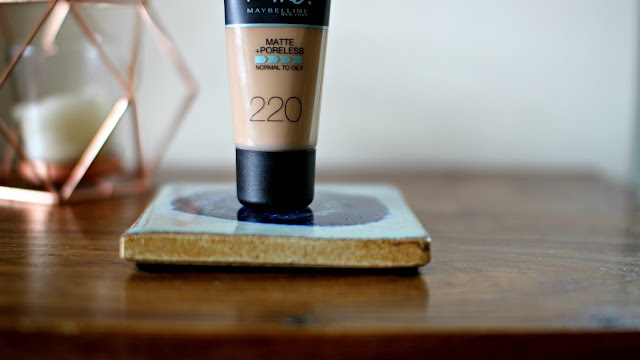 When I think of matte foundations I get images of the likes of Estee Lauder Double Wear which is a very heavy almost air-brushing foundation, that gives a very matte complexion which can make you look very flat. You will see from the picture below that it is much more of a natural, healthy base that hasn't made me look flat, air-brushed or too perfected. This foundation is actually quite unique in the way that it does prevent excess oil building and thanks to it's runny nature it blends into the skin seamlessly and just gives a very natural, skin-like finish. I would categorise it with the demi-matte foundations in my collection. 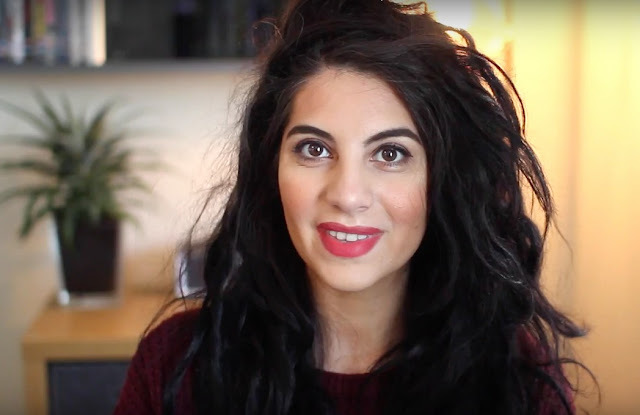 Demi matte is just another way of saying it's very natural, healthy (not glowy) more skin-like. Because of it's hydrating texture it is a dream to apply and blend, it also adapts very well to your skin tone meaning it should be easy to find a shade that suits you. 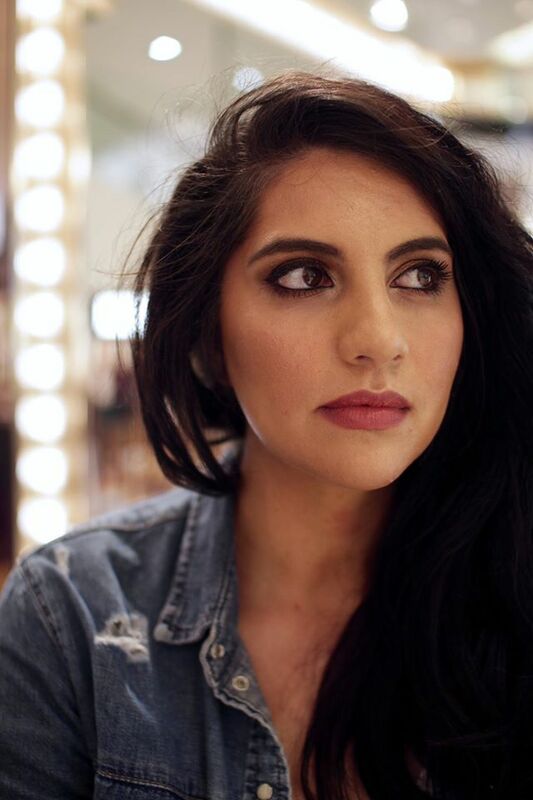 I have the shade 220 which is very much a medium,olive skin tone. The coverage is medium but it can be built up to become a fuller coverage. 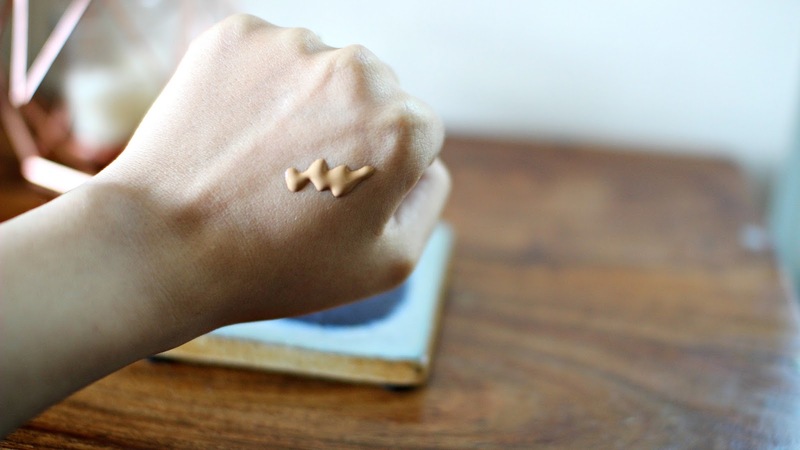 It deals with blemishes and redness really well and doesn't feel heavy or uncomfortable to wear. It is also a good foundation for any time of year as it doesn't add too much moisture to the skin nor does it take too much away. It is very much an everyday, decent coverage no frills foundation that is easy to grab and slap on.